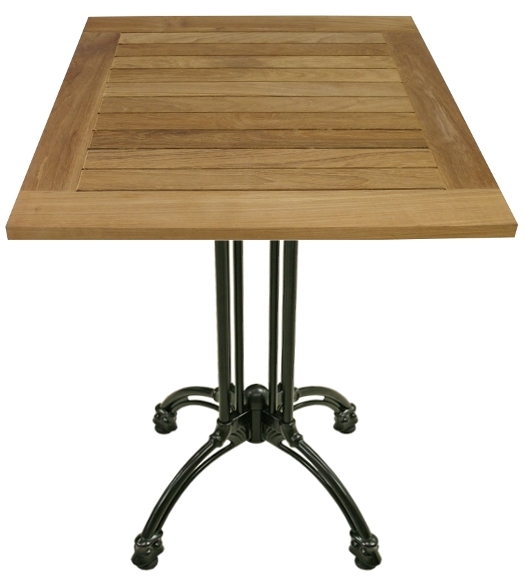 This square teak patio table combines a beautiful teak look, with a contemporary black 4 prong base. The square is available in 24x24, 32x32, 36x36, and 24x32 rectangle. This table is also available in 42" bar height. Round sizes are also available. Mix and match the round, square, bar height, and standard height to furnish your whole outdoor dining area. Available in 24x24, 32x32, 36x36, and 24x32 sizes.